Below is a directory of Distribution ERP vendors, tools and software solutions including a company overview, links to social media and contact information for the Top 14 Enterprise Resource Planning software providers. If you would like a printed version of this page including complete solutions profiles and a list of the top questions to ask in an RFP – Request for Proposal, click here for a Free PDF. Distribution Edition from Acumatica is a Cloud ERP solution that includes Sales Order Management, Advanced Inventory, Requisition Management, Purchase Order Management, Advanced Fulfillment, and Advanced Financials. It is fully integrated with Acumatica’s CRM, Manufacturing, Field Service, and Project Accounting for visibility across the entire organization. 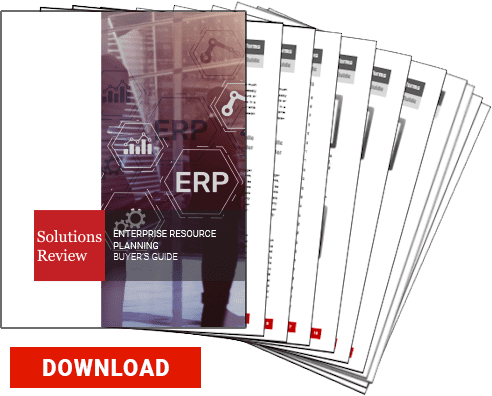 Download this Directory and get our Free Distribution ERP Buyer’s Guide. 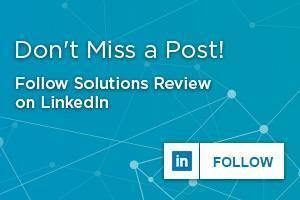 ADS Solutions has been designing and selling enterprise resource planning software systems since 1984. Today, Accolent ERP is a leading web-architected ERP solution that uniquely provides cloud software optimized for wholesale distribution to the SMB market. Blue Link ERP provides all-in-one Accounting Software & Inventory Management Software to small and medium-size businesses and is best suited for wholesalers and distributors. Blue Link provides advanced functionality available out-of-the-box plus various optional components. Blue Link ERP can also be completely customized to meet your unique business needs. Founded in 2008, it is trusted by 100,000+ users and is recognized by industry experts. Deskera ERP software for wholesale and distribution will leverage your process with unimaginable benefits. Deskera delivers fully integrated, compliant and quick to deploy ERP software for small and medium-sized businesses. Distribution One provides wholesale and distribution ERP software built by experts holding years of experience in inventory, technology, supply chain management, accounting, business management, sales, and everything in between. Distribution One’s solution has evolved to the all-inclusive 64-bit ERP solution: ERP-ONE+. DistributionPlus is a comprehensive ERP solution for distribution companies that take the complications out of the workflow through integrations. Accounting, sales, inventory management, warehouse management, purchasing, and shipping are just some of the many functions within DistributionPlus that make it a complete system that easily replaces multiple software systems. Epicor’s Distribution ERP software is a global resource planning platform that provides choice, flexibility, and agility to promote growth and opportunity. The company offers two distribution ERP solutions: Prophet 21 and Eclipse. They are currently known for providing the flexible Intact IQ, their ERP solution directed towards small and medium sized businesses. IQ for Wholesale and Distribution software gives users the ability to view all aspects of their business from one platform. The ERP solution brings together all the parts of the business to make sure companies can manage multi–branch, multi-warehouse and multi-jurisdiction all in one integrated platform. NebuCore was born from the need and desire to increase sales, efficiency, and customizable for modern day business operations. Rootstock provides a Distribution Cloud ERP platform that provides robust features enabling distributors to cut costs, improve processes, and drive revenues. Whether it’s a small growing operation or large enterprise, Rootstock offers a solution for all sizes and supports the requirements of Ship from Stock, Configure/Kit to Order, pre-built kits and Special Order Distributors. Business One Suite ERP software provides strong functionality across a number of industries including manufacturing, services, retail, wholesale distribution, and more. Within Business One Suite’s ERP suite, it offers applications covering customer relationship management, financials, human capital management, and product lifecycle management. Ranging from automotive parts, computer and electronics, food and beverage, industrial machinery and capital equipment, and consumer product goods, SYSPRO ERP software can help distributors process and deliver orders faster, increase inventory turnover, and improve profitability. VAI offers distribution ERP software with key capabilities such as inventory management, warehouse management, sales and forecasting, CRM and more. S2K Enterprise software from VAI offers mid-sized companies the advanced technology they require to improve efficiencies, reduce costs, and grow.